It’s much more than a city! Welcome to the Auckland Region, a land of volcanoes, forested hills, regional parks, beaches, islands and New Zealand’s largest city. Not only does Auckland stretch out into the waters of the Hauraki Gulf, but the whole region encompasses many different landscapes. Known as the “City of Sails”, all around the coast of Auckland you’ll see the water covered in boats. At one point, it was said that there was one boat to every three Aucklanders. The coastline is also a drawcard for Aucklanders and backpackers with its white sand beaches found in the suburbs. But the boats are not only what Auckland is famous for. The city is easily identified by its iconic Sky Tower, which stands tall and proud as the tallest building in the Southern Hemisphere. There are some more natural forms that stand tall around the city too, as Auckland has 48 volcanic cones. So take a look at the guide below to see what the incredibly varied region of Auckland has to offer! Experience Auckland Central nightlife with weekly backpacker events. While you’re bar hopping, you’ll likely see the Sky Tower lit up! Explore the islands out in the Hauraki Gulf. Walk on Auckland’s youngest volcano and discover beautiful beaches on Waiheke Island. Choose from many beaches along North Shore’s coast. Head to the suburbs, whether it’s walking in the rainforest of the Waitakere Ranges or shopping too much in the inner suburbs and Sylvia Park. With towering buildings, it can sometimes feel like Auckland is in its own little bubble. Especially because Auckland Central has snippets of everything. There’s all the convenient services, shops, entertainment venues and nightlife, plus, plenty of squares and big green open spaces. The Auckland Domain is the largest of these green areas. A number of walks take you through wooded areas that you would never think could exist in a city! With a whole lot of backpacker hostels, no doubt you’ll find yourself staying in Auckland Central at some point. Don’t waste your time here; check out what there is to do with our guide: Auckland Central – Guide for Backpackers. Auckland nightlife is as if it has been made for backpackers with a super cheap bar crawl and backpacker events. Just check out our Guide to Auckland Nightlife. From the downtown Ferry Building, a big orange building easily spotted from the end of Queen Street, you can take a ferry ride to one of the islands of the Hauraki Gulf. Around 50 islands are dotted around the Hauraki Gulf, part of the Pacific Ocean that lies next to Auckland. A highlight is Rangitoto Island, Auckland’s youngest volcano, which offers amazing bush walks over black volcanic rock. Find out more in Guide to Rangitoto Island and Motutapu Island. For beaches and vineyards, head to Waiheke Island. This island is civilised with bars, activities, fun methods of transport, and relaxing beaches. There’s so much to do, so be sure to see Waiheke Island – Guide for Backpackers. Excellent diving that is way off the beaten track is at Great Barrier Island. It may take a 4h30min (off season) or a 2hour (peak season) ferry ride to get there, but with so much to discover like natural thermal pools and a scenic coast, it is worth the journey. And guess what, we have a guide for that too: Great Barrier Island – Guide for Backpackers. New Zealand has some incredible native wildlife, which is best seen at Tiritiri Matangi. See the 3-eyed lizard and a “living dinosaur”, the tuatara, the takahe with its shocking blue feathers, and the little blue penguin. For more information on these incredible islands, take a look at Auckland Hauraki Gulf – Guide for Backpackers. Moving into the upper suburbs of Auckland, North Shore is the area you arrive in when you cross the Harbour Bridge from Auckland Central. Alternatively, take a quick ferry ride across the water from the downtown Ferry Building. Walk in the World War Two tunnels in North Head, Devonport. North Head also offers great views looking back on the Auckland skyline and over to Rangitoto Island. Venturing further north, go shopping in Takapuna and take a bush walk in Birkenhead. Finally, with 20 beaches lining the North Shore coast, you can pretty much take your pick on what water activity you want to do. It’s not uncommon to see paddle boarders and kayakers out on the water. Take the North Shore Coastal walk to make sure you hit all of the beaches. A lot of the beaches on the east coast are especially scenic with the distinct volcanic shaped Rangitoto Island out in the distance. Discover more about North Shore here: Auckland North Shore – Guide for Backpackers. The Auckland suburbs stretch far and wide in the Auckland region. 13 suburbs are divided between 5 districts. Within some districts there is wilderness, walks and waterfalls, while in others there’s shopping and entertainment. The inner suburbs mainly offer alternative shopping than what is found in Auckland Central. However, there’s volcanic cones to climb in Mt Eden and One Tree Hill and animals to see at the Auckland Zoo in Western Springs. Going further over yonder, there’s the district of Manukau, which is likely to be the first and/or last place you go to in New Zealand, because this is where New Zealand’s busiest airport is. As well as catching you flight, you can catch a theme park ride at Rainbow’s End, and shop in the large shopping centre, Sylvia Park. Your always close to the sea in Auckland, but the best places to go for beaches is Rodney, where its coast has wildlife from a gannet colony to a superb diving spot off Goat Island. The best surf beaches can be found at Waitakere, especially at the well-renowned Piha black sand beach. Waitakere also holds waterfalls and rainforest in the Waitakere Ranges. 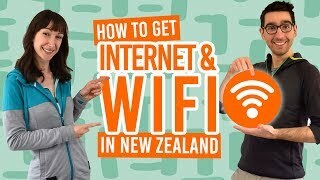 (Find out more in Waitakere Ranges – Guide for Backpackers). More walks can be found in the Hunua Ranges in Franklin, Auckland’s southernmost district. … Then check out all these other Auckland-related articles. 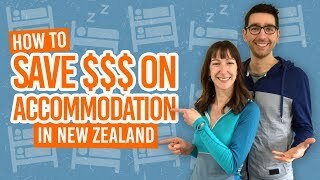 For more budget accommodation options in Auckland, check out Accommodation Guide to Auckland Region and Where to Camp in Auckland.